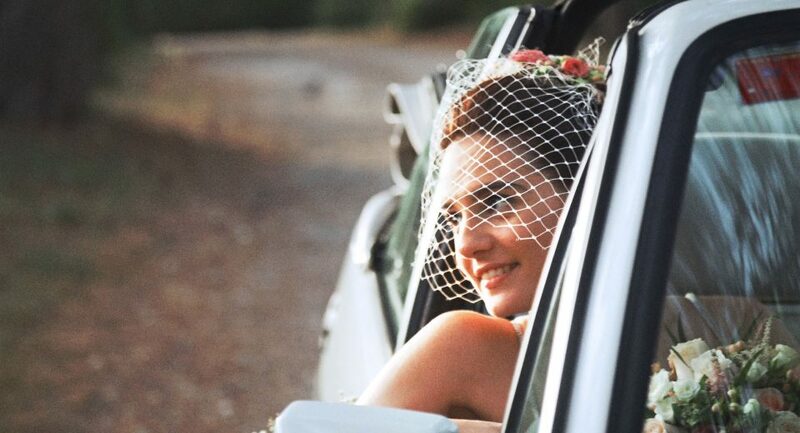 Are you getting married in Mallorca and you want a wedding movie from your big day? 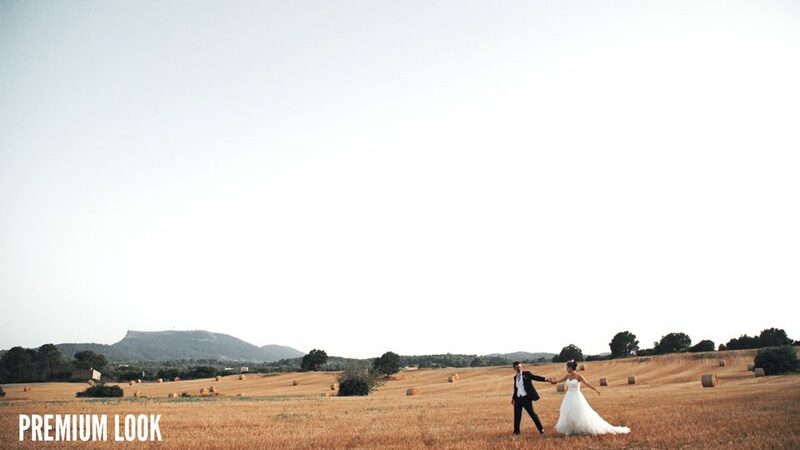 Are you looking for a professional wedding filmmaker to shoot and edit your wedding film in Mallorca? 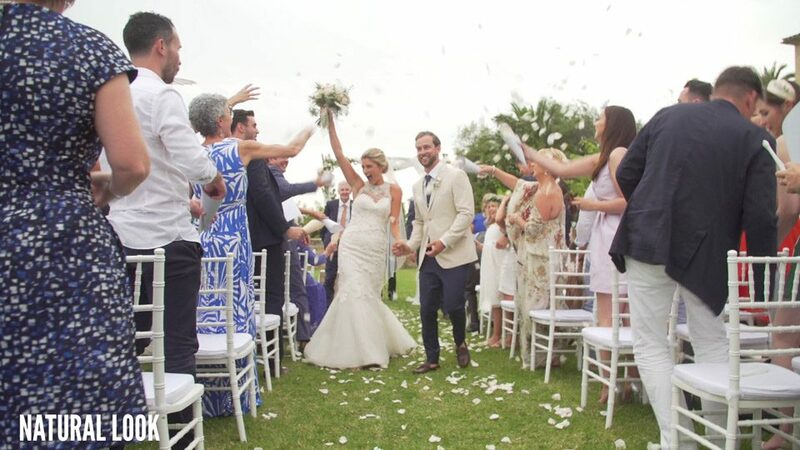 Our audiovisual production company has a specialised wedding videographers crew to shoot and edit cinematic wedding videos in Mallorca. 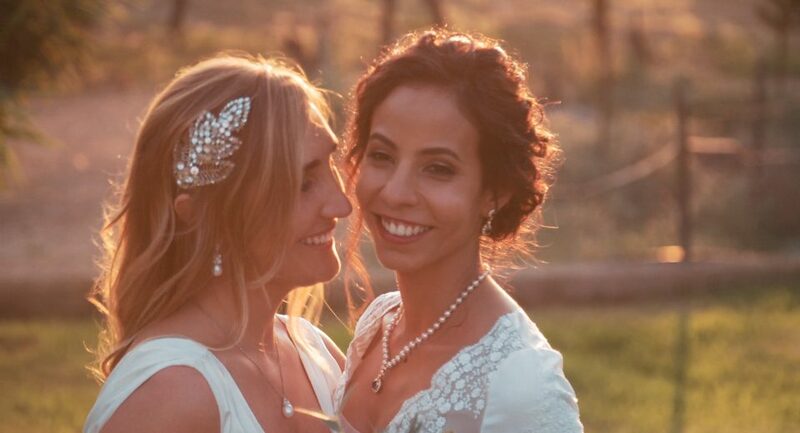 We absolutely love sharing wedding days with couples and craft amazing wedding films. Our goal as wedding filmmakers is to capture unique moments to craft unforgettable memories that will bring you back to your wedding day whenever you want. 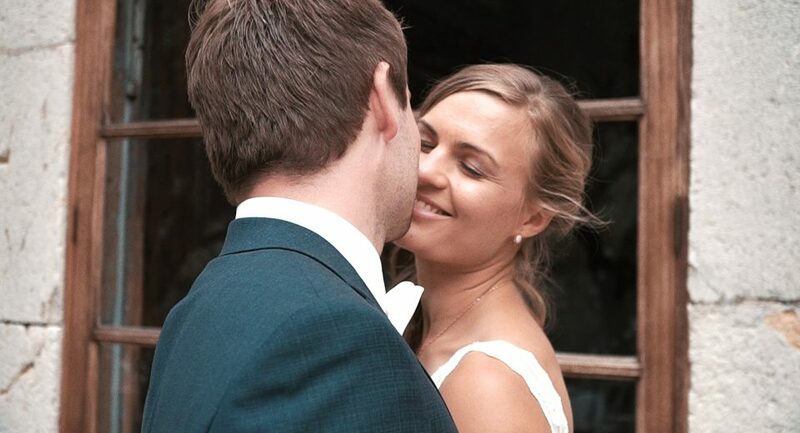 Each couple is unique, so our wedding videographers offer personalised and modern videos. 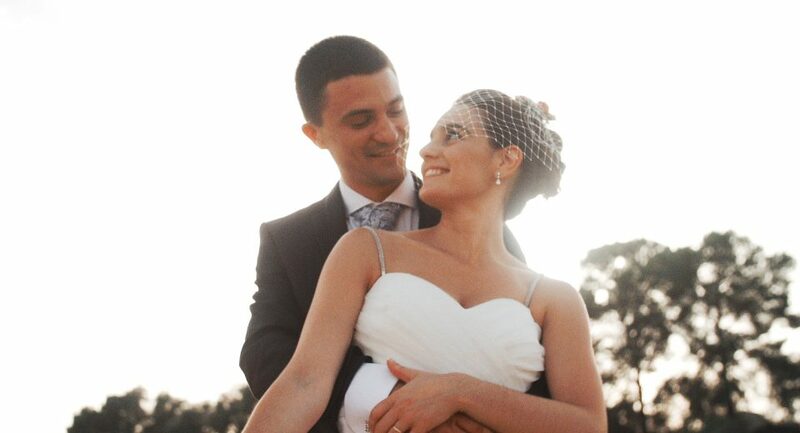 Our wedding films are elegant and touching and personalised cinematographic look is available. 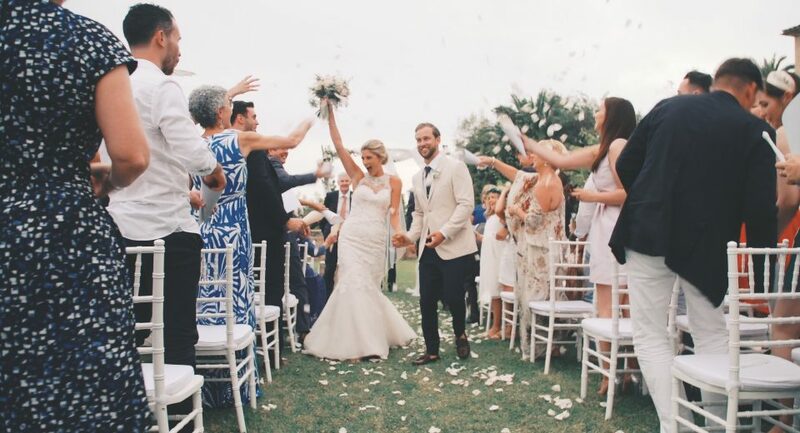 You’ll love sharing your wedding videos with family and friends. Check out our latest cinematic wedding films and discover our wedding video rates and different video packs! During the filming of your wedding we like to create a positive environment so that everything flows before the camera. Our filming style is documentary. We are not very fond of strange posing sequences, although sometimes we will ask you to look at each other’s eyes, relax or kiss. We are constantly looking for originality and at the same time we like to listen to your suggestions. We like to make original wedding films that tell stories with a flawless and elegant aesthetics. We have the best professional filming equipment including cinema lenses, a drone and 4K cameras to obtain an exceptional image quality. We also take great care of the sound from the speeches and messages from your family and guests, everything is perfectly heard. 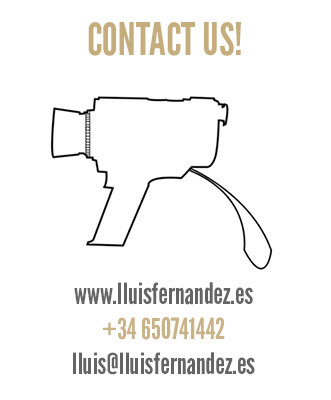 We are always open to your ideas and suggestions on the “what” and “how” you would like to film your wedding in Mallorca. 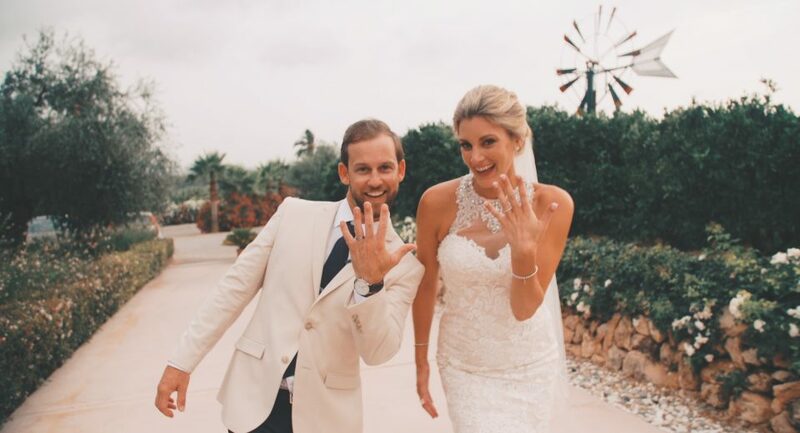 The most important thing for us is that you enjoy your big day, being also completely satisfied with our wedding videographers crew and your wedding videos. Our studio is based in Mallorca, but we also work as destination filmmakers around Europe. Do you know the advantages of filming your wedding day with two cameras? Would you like us to include interviews to your family and guests in the video? 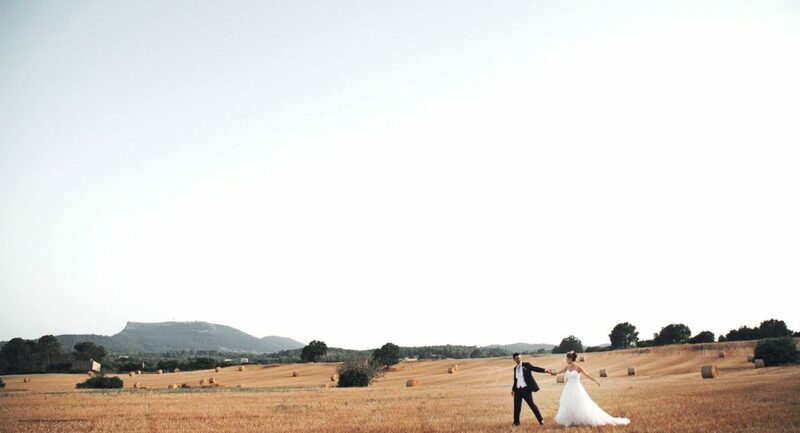 Looking for aerial shots with a drone or a camera car inside the just married car? Would you like a same day edit to screen a short highlights video of your wedding film during the dinner the same night? Yes, there are many possibilities, that’s why we have different packs and wedding film rates to suit your taste and needs. Your imagination will be our limit. 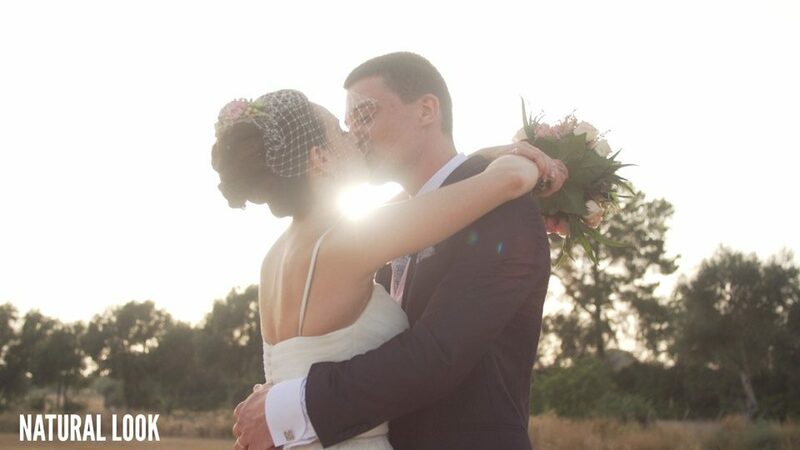 Tell us how is your perfect wedding video and we’ll craft it for you! This is our complete wedding video proposal if you are looking for a single videographer shooting. With the basic pack we will craft up to 3 wedding videos for you, all of them with cinematographic quality and awesome look. One camera shooting (10h). It covers the preparations for the bride and groom, the ceremony, cocktail, banquet, dance and party. We deliver a 3-5 min highlights wedding video with the best scenes of the day. We deliver a 15-20 min Full HD wedding cinema film. We deliver a third video with the complete speeches from your wedding. 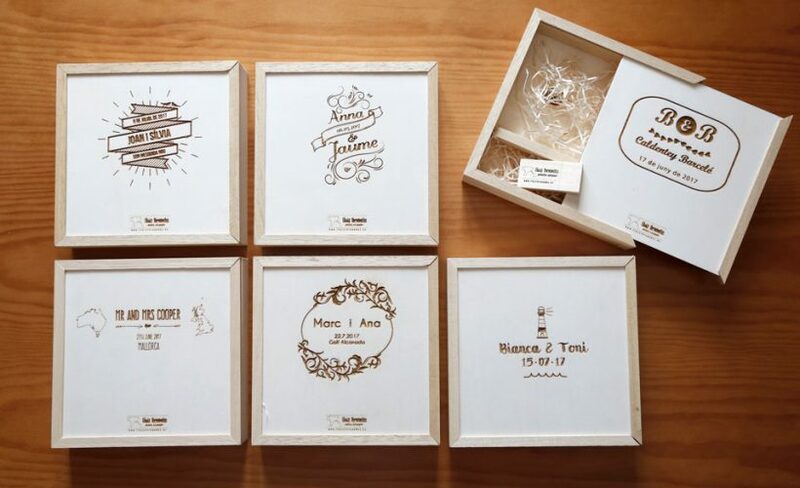 Special offer: Purchase the cinematic color look extra and we’ll deliver your videos in a personalised wooden box with your logo marked with laser for FREE! 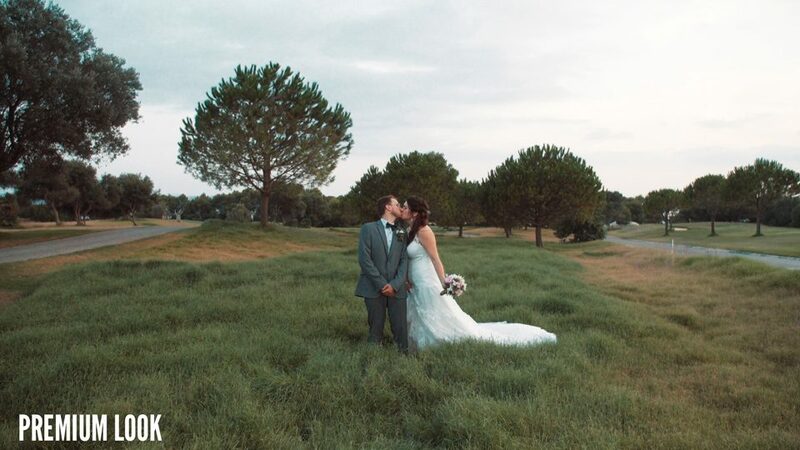 For a small extra our colorist will apply a cinematographic color look to all your wedding videos. 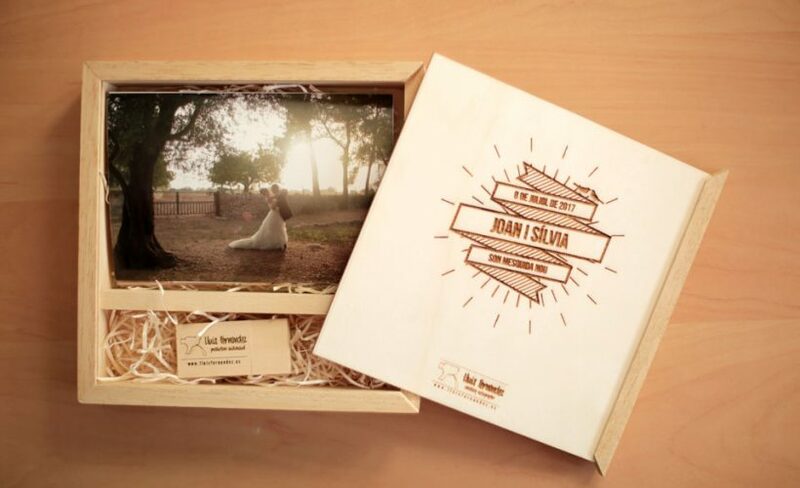 You’ll get personalised wedding films with a cinema movie look! The premium pack consists in a two videographers shooting. Optionally this pack also includes interviews and short messages from family and friends. Don’t miss any detail of your wedding day! Two cameras shooting (10h). It includes the preparations for the bride and groom, the ceremony, cocktail, banquet, dance and party. We deliver a 3-5 min highlights wedding video with the best scenes of your day. We deliver a third video with the complete wedding speeches. We care about sound quality in our wedding videos, that’s why we bring a professional audio recorder to our shootings. Speeches in your wedding film will sound just perfect! This is our most complete and exclusive pack. The platinum pack includes our most advanced shooting equipment to ensure that your wedding videos have a cinematographic look and smooth camera movements. It’s filmed by two wedding filmmakers. Don’t miss any detail of your wedding day! Set of prime cinematic lenses for a flawless aesthetic. Slider for camera travellings and moving shots. Motorized stabilizer to create smooth motion sequences. 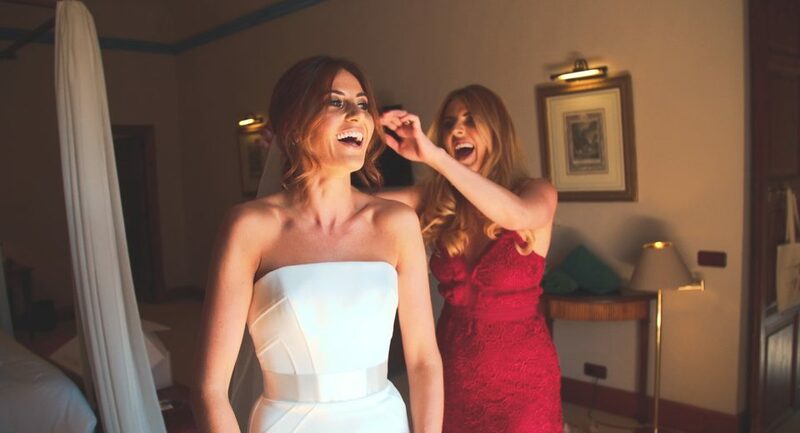 We deliver a third video with the complete wedding speeches so you don’t miss anything! From the 10th hour of shooting 50€/extra hour per operator will be charged. WHAT’S OUR CINEMATIC COLOR LOOK? 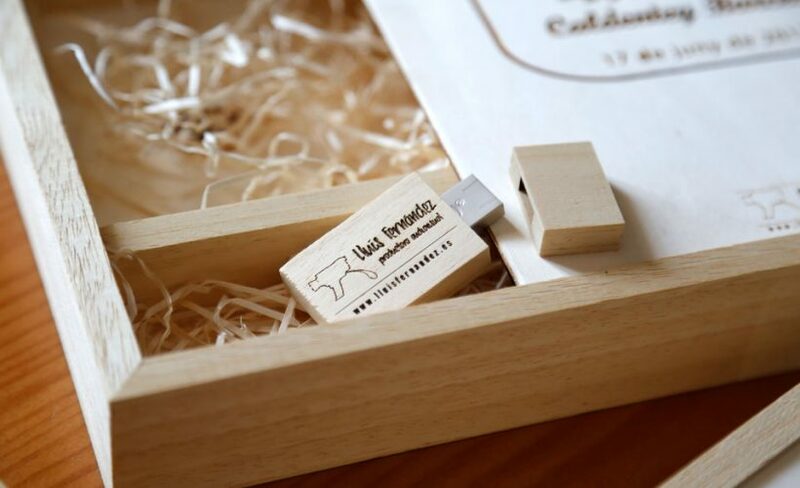 We currently have an special offer for which is you hire the cinematic color look extra we’ll deliver your wedding videos in a personalised wooden box with your logo marked with laser for FREE! 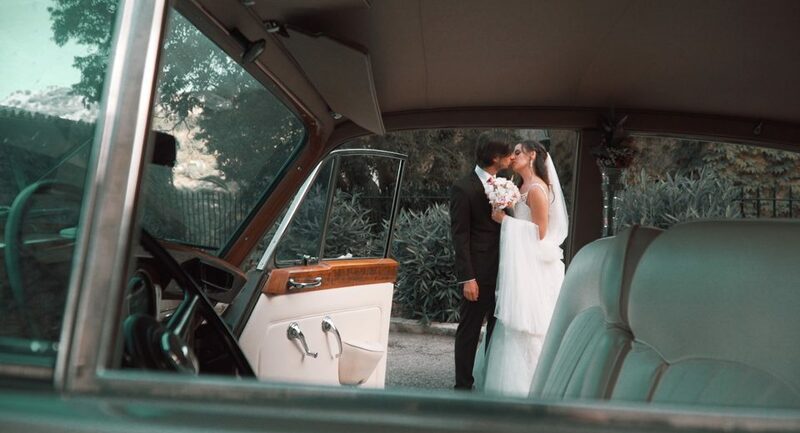 If you have any doubt or comment, or you simply want to visit our studio to tell us about your wedding and take a look at our latest wedding films, do not hesitate to contact us! Don’t forget to tell us your wedding date so we can check if we’re available! We transmitted to Lluís the idea of the video we wanted at the meeting, so we did not worry about anything in the wedding day. They made us feel very comfortable and this is shown in the result. The video is a wonderful memory that never tires us, even if we watch it over and over. It always make us feel transported to our big day. (* this is a translation of the original message).